Fasting is a practice I've always had a difficult time wrapping my heart around. Passages such as Isaiah 58 and Matthew 6 to this day leave me feeling a bit too overwhelmed to take it on. Perhaps it's because every time I've ever tried to fast I've gone into it thinking that my great act of sacrifice would get me in good with God, or that I was proving something to him by my discipline. Let me encourage you, fourteen days into this Lenten Season (twelve if you don't count Sundays), to think differently about fasting. We all know that we're supposed to give something up during Lent, but what and why? Well, the "what" that we should give up is something pleasurable to us, something good that God has blessed us with and intends for us to otherwise enjoy. For example, I greatly enjoy watching God-given creativity put to film. 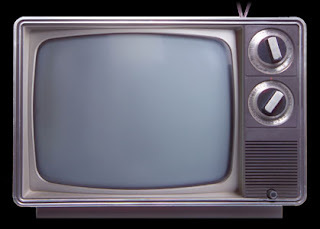 During Lent, however, I have decided to watch less TV than I otherwise would. Others give up dessert foods, or coffee, or red meat. But there's a difference between pure pleasure and sinful pleasure. Don't give something up for Lent that you should not be participating in or consuming in the first place. For example, someone I know said they're going to give up getting drunk. That doesn't count. Now, the "why" is harder for us to identify. We already know that our reason for giving something up has nothing to do with proving something to God or to others. The reason we do it is to by grace increase our desire for God, to know Him and to better seek Him. We fast to re-focus our delight in the Creator, because we so often lose sight of Him, getting side-tracked by the things of this world, even His blessings. We find ourselves desiring so many other things and spending all of our time indulging in those things. When we fast rightly our priorities are realigned. anyone or anything else in this world.